The perfect place to see and be seen is certainly the chic BB Club bar where you can hop in immediately as you descend from the stodgy ferry ride. 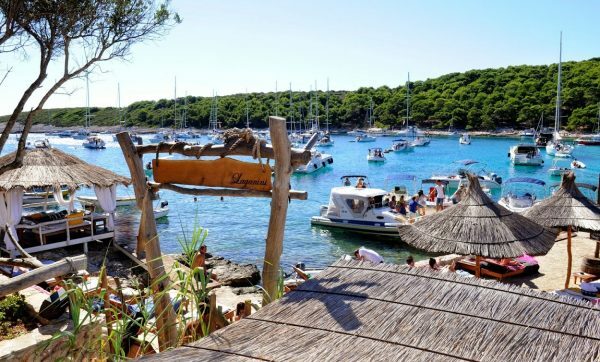 Hvar’s trendiest boutique bar, the BB Club, is located right in the heart of the Hvar summer buzz and features the very first Shrimp House in Croatia. 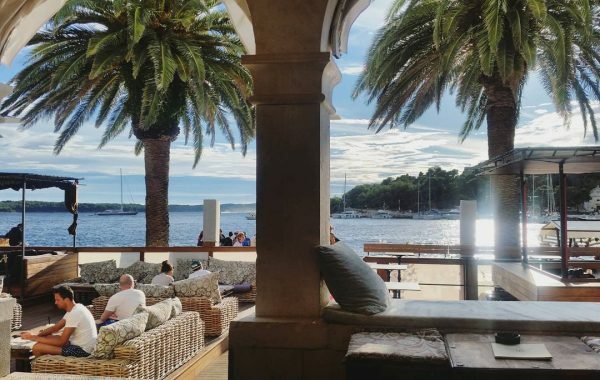 Featuring wrap-around view of the ancient city, yacht harbour, bay, and Paklinski Islands, The Top Is Hvar’s premiere lounge bar. Perched on Adriana’s rooftop, a sophisticated array of multilevel garden terraces and exquisite design create an outstanding atmosphere of luxury and relaxation. Start your day with the rising sun and a stunning view accompanied by excellent lounge music and gentle breeze of the Mediterranean while enjoying brunch. 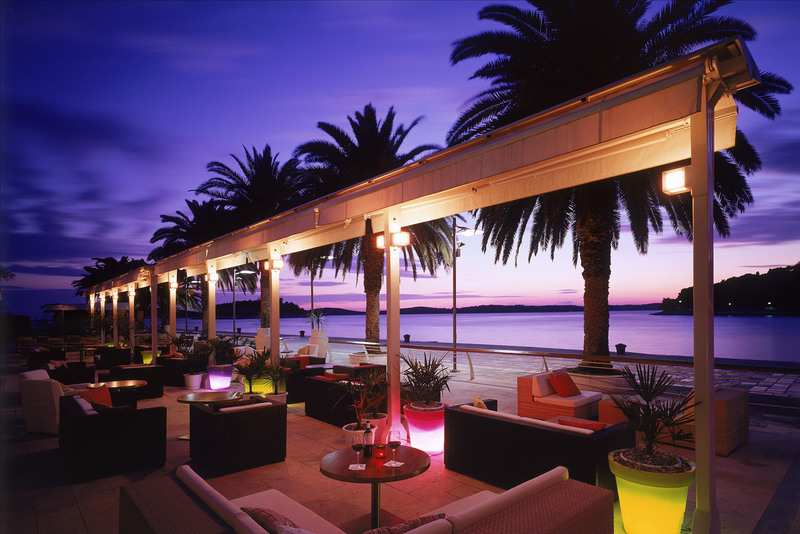 End your day partying right at the Riva of Hvar and find out why Carpe Diem Bar is the town’s hotspot for the last 20 years! Step into one of the TOP 10 World famous beach clubs and enjoy the exclusive location, natural beauty and gastronomy delicacies. 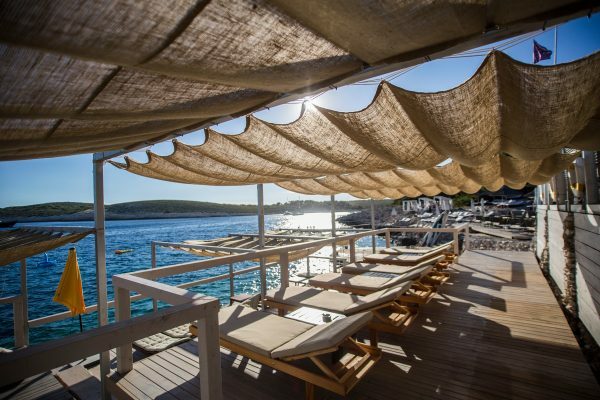 Take a ten minute boat ride from Hvar and treat yourself with pure hedonism, chill sunbathing during the day and top clubbing experience surrounded by the sea and nature while dancing under the stars!